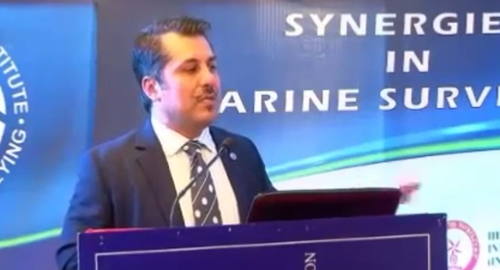 Capt Falah Al Rai speaks at the IIMS India conference on the synergies within the Noble Denton Marine Advisory Group. Video length: 25 minutes. 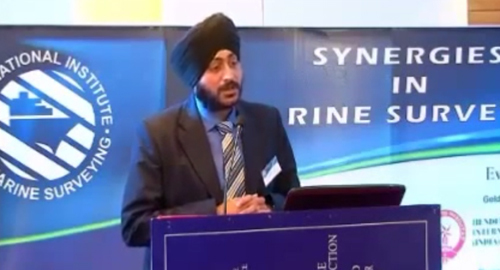 Pollution risk assessment and compensation regime was the theme of Capt Kapil Dev Bahl's presentation at Kolkata. Video length: 14 minutes. 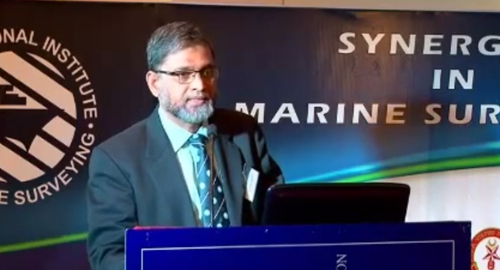 Kaushik Sochhanam discusses the legal issues faced faced by Marine Surveyors at the IIMS India Conference in Kolkata. Video length: 48 minutes. 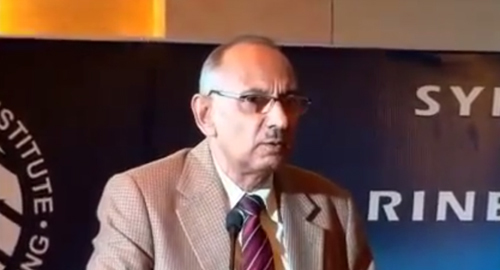 IIMS India Branch Regional Director, Mr Milind Tambe, presents: Methanol shipments managing risks by safe carriage. Video length: 32 minutes. 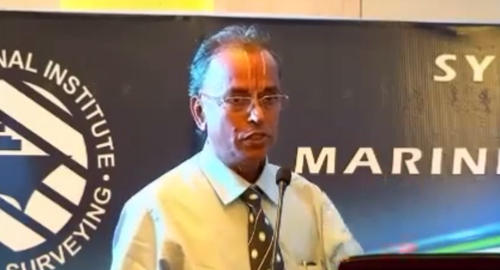 Presentation by Mr M S Pruthi on the topic of 'Challenges in offshore construction market and those faced by MWS'. Video length: 22 minutes. 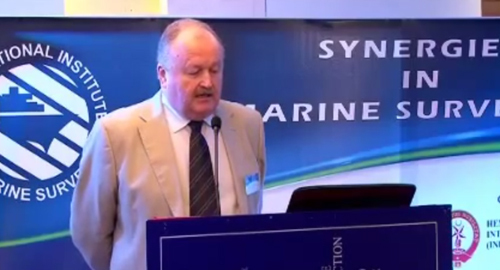 Capt Nigel Hartley presents on the subject of why 'Surveyors are Eyes and Ears on the ground for Insurers'. Video length: 15 minutes. 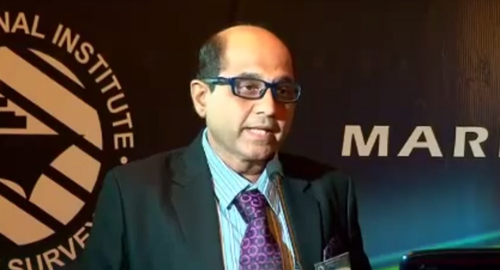 Mr Sanjeev Bhandari betaes the topic 'Do Marine Surveyors Owe A Duty Of Care' at the IIMS India Conference in Kolkata. Video length: 24 minutes. 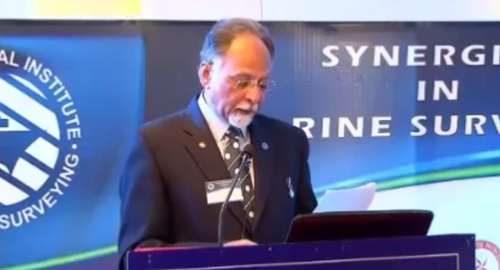 This presentation by Capt Karamarkar on the carriage of hazardous bulk cargoes was filmed at the IIMS India Conference. Video length: 19 minutes. 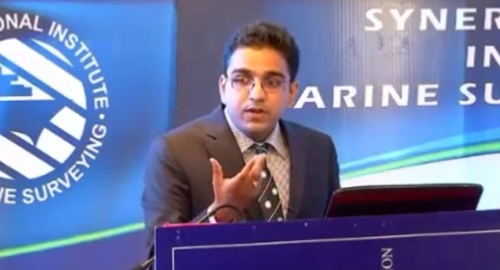 Capt S P Anand filmed at the IIMS India Conference discussing the benefits of attending seminars and conferences. Video length: 12 minutes. 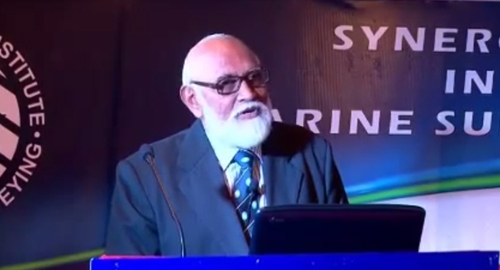 Filmed at the IIMS India Conference, Tony Fernandez presents 'A case study on professionalism' in his own inimitable style. Video length: 33 minutes. 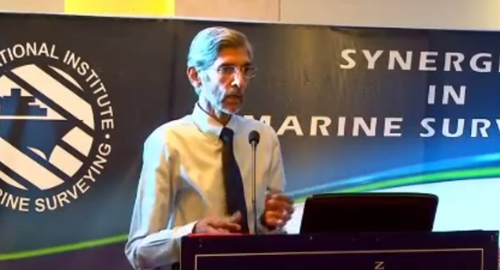 Mr T S Shrinivaasan presented 'Synergies in Marine Surveying' at the IIMS India Conference at Kolkata. Video length: 24 minutes. 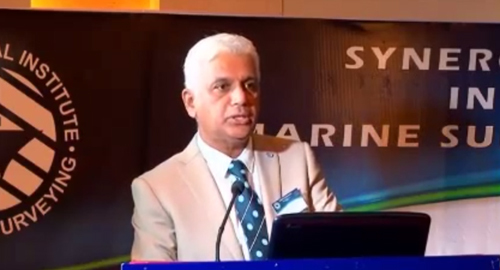 Mr Uday Moorthi from Quest Marine LLC Dubai speaking at the IIMS India Branch Conference at Kolkata. Video length: 26 minutes. 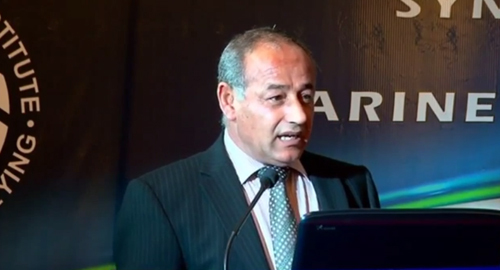 Presenting at the IIMS India Branch Conference, Capt Zarir Irani talks about the challenges of moving rigs. Video length: 33 minutes. 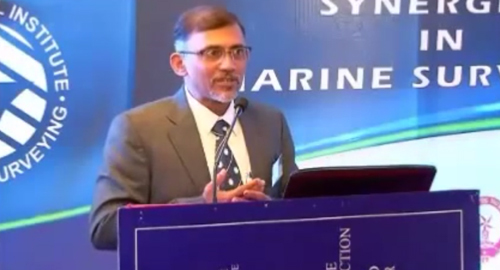 Capt Zillur Bhuiyan talks about the evolution of IMO regulations in his presentation at the IIMS India Conference in Kolkata. Video length: 22 minutes. 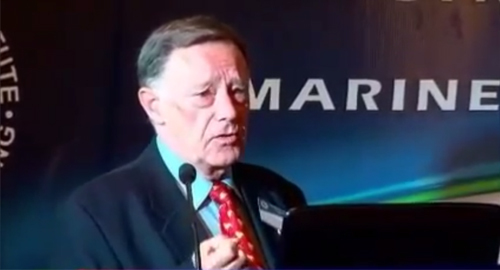 John Lawrence presenting 'Theory is Good but Practice Makes Perfect' at the IIMS India Branch Conference. Video length: 29 minutes.